Acid washing is a benefit that we provide at Mesa Pool Cleaning Services. 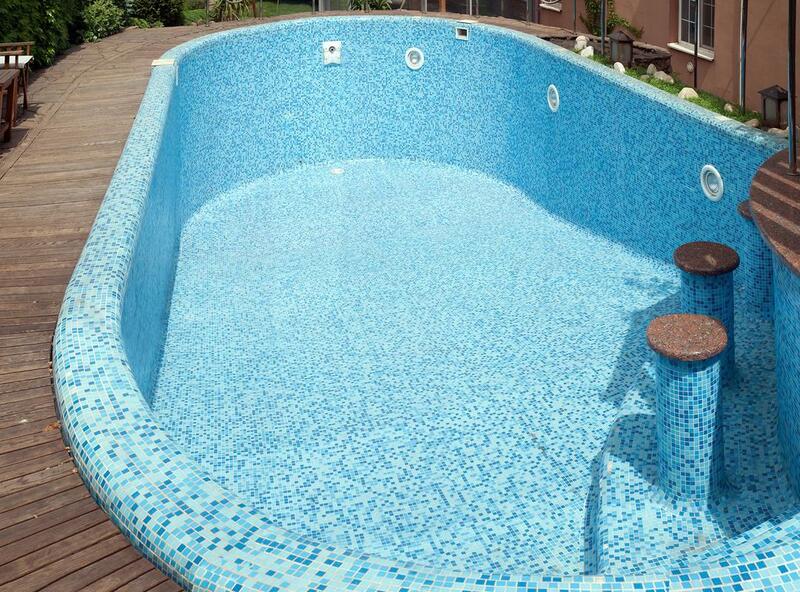 The purpose of this service is to remove calcium buildup and to provide a clean and uniform appearance for your pool. Due to the extreme nature of this treatment, it should only be administered once every five to seven years. It is akin to a chemical peel for your pool. The top layer of the pool’s surface is removed to make way for a more ideal and conducive appearance. This service is rather time consuming. Although it is laborious and hazardous chemicals are involved, the pricing is surprisingly affordable. Our first step is to clean your filters then we drain your pool with a sump pump. Next, we give it a good chlorine wash. To protect ourselves we wear a gas mask, gloves and rubber boots. The chlorine kills algae and its spores. An acid wash is thoroughly applied twice. We work for the deep to the shallow end. Next the pool is filled to capacity. Within 24 to 48 hours, a conditioner is applied to facilitate a balanced pH. The dedicated pool technician will conduct several chemical tests to ensure that your pool is fit for bathers. The last step is to advise the client on proper consistent maintenance. The entire acid wash process can take three to four days for completion. To completely drain your pool will take about one day depending on the size of it. Chlorine, acid washing and pool filling are another full day. We follow up in 24 to 48 hours to balance the pH. Your pool will be inaccessible for up to four days. Prior to the process, take the time to prepare everyone that may be affected. Due to the downtime, its best to have this process done when the pool experiences less usage. Summer is the worst time to have this treatment executed because pool traffic is higher. The chemicals used to strip the surface of your pool are very harsh. Our pool technicians don gas masks, rubber boots and gloves for protection. You wouldn’t go to the dermatologist weekly to have a chemical peel because of the damage done to the derma layer. The same thought can be applied to your pool. The final effect is desirable, but the process is rather severe. Acid washes should not be administered more than once every five to seven years. More than that and you will soon have a structural issue on your hands. You will be happy with the ultimate result. Contact us today to schedule an acid wash for your pool. Acid washes are administered to remove calcium buildup. We’ve also conducted this treatment on algae infested pool systems. Visual stimulation is a major part of pool allure. If the pool looks filthy with floating leaves and dirty deposits at the bottom, no one will want to get in it. The blue sky reflecting off the pool with the sun adding its own shimmering effect is what inspires people to dip a toe in, do a few strokes and lounge. If you’ve got severe algae and calcium build up, contact Mesa Pool Cleaning Services. The final results are impressive and effective.